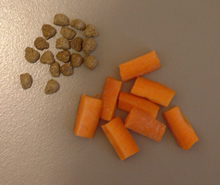 To encourage your horse to try even harder consider training with 2 types of treats. I use a general one and a ‘special’ treat for when they do something really well. Grease a 9 inch by 9 inch (22cm x 22cm) glass pan or baking tray. Mix all the ingredients until the applesauce is evenly distributed, then spread the mixture evenly in the pan. Bake for 30 minutes or until the batter firms and browns. 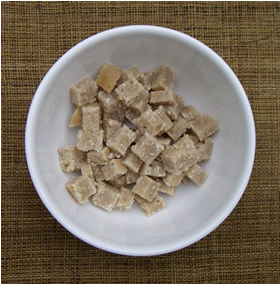 Allow the mixture to cool for 5 to 10 minutes and then cut it into squares. Or wait till the mixture cools completely and you can cut it into tiny squares with kitchen scissors. 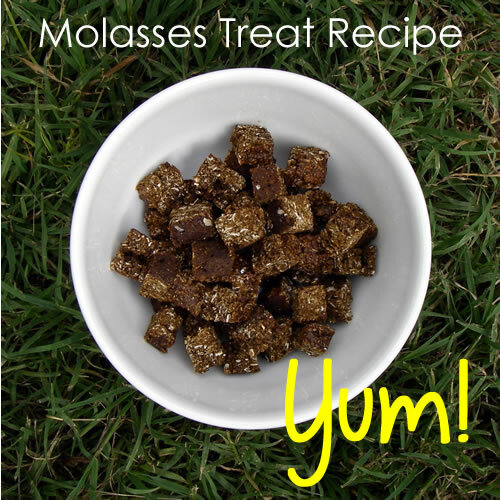 If you would like more healthy, yummy, trick training treat recipes and ideas then download our Horse Trick Treats ebook. It is available from our PRODUCTS page. It is very important that once you start teaching your horse tricks that you ONLY feed your horse from your hand if he does something that you have asked him to do. You horse needs to learn that from now on the only time he gets a treat is if he does something you ask AND he does it correctly. If you feed your horse treats at other times he won’t make the connection between doing something right and getting a treat. 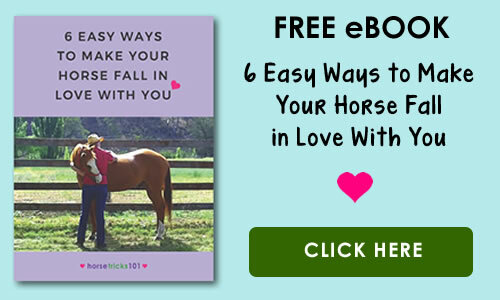 You may also find that several other things will happen – your horse may get confused during trick training or he won’t try very hard to learn a new trick or he will be constantly mugging you for treats. Many people like to give their horses a treat just because it’s a nice thing to do and because we love them, but if you are serious about trick training you need to resist the temptation to feed them treats at any time other than trick training time. 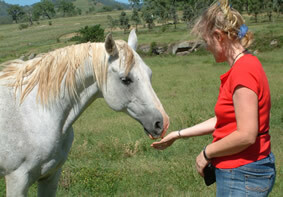 You only need to feed your horse a very small amount of the treat that you have chosen to use. It must be small enough so your horse finishes it very quickly (they should only be chewing on it for a second or two)…just a taste. Otherwise you will be constantly waiting while he finishes his treat before you can move on to the next thing. The treat must be something that your horse really likes. This will encourage him to work harder to get the treat. 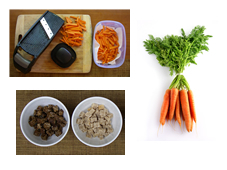 My horse, Trigger, loves some little trick biscuits I make (recipe in Part 1 of the Horse Trick Training ebook) or very small pieces of carrots. Small amounts of your horse’s normal feed (especially ones with some molasses) works well too. 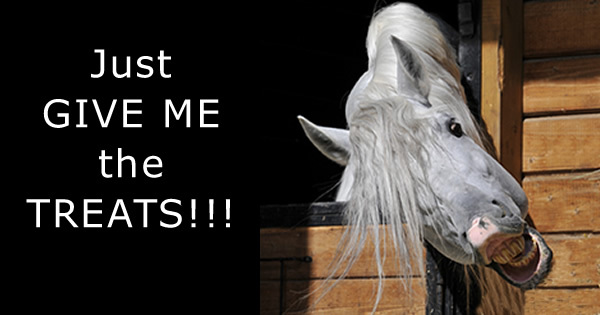 Try out a few different treats and see which ones really get your horse’s interest.